Goodfish’s Cannock facility has had its environmental and health and safety management systems and processes audited by BSI. 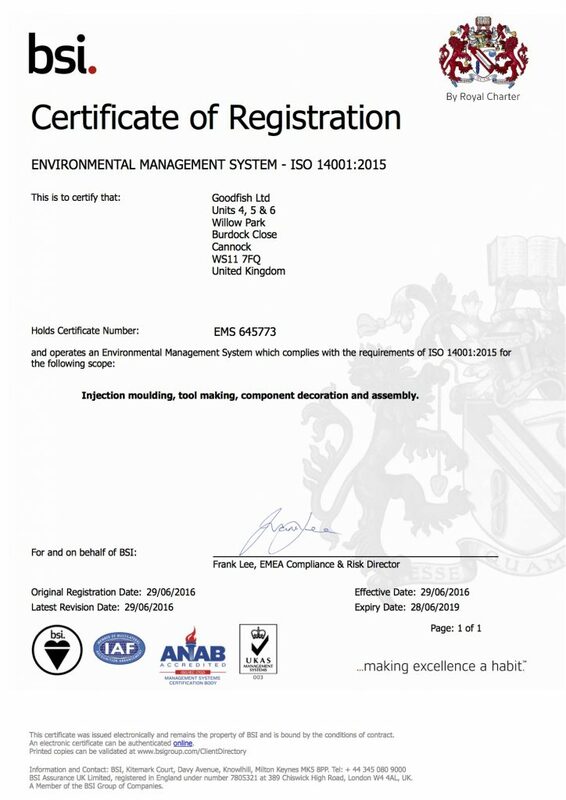 The audit was successful and our business is now accredited to ISO 14001 and OHSAS 18001. We’re now “making excellence a habit”. Well done Polly, Kevin, Jane, Sharon, Adam and the rest of the team for achieving the Goodfish Cannock accreditation. You can view and download our accreditations and certificates here.